Kolessa, Liubka [Колесса, Любка], b 19 May 1904 in Lviv, d 15 August 1997 in Toronto. Pianist and educator; daughter of Oleksander Kolessa. 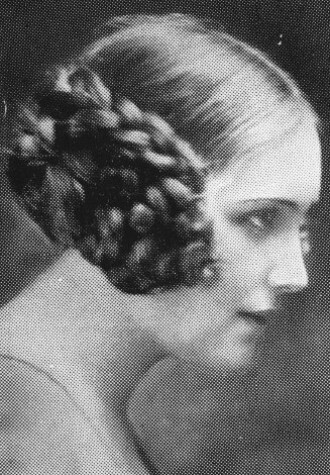 Upon graduating from the Vienna Academy of Music (1920) where she studied under L. Thern and E. von Sauer, she made the first of several European concert tours. She performed frequently in Lviv, and in 1929 she toured Soviet Ukraine. She was the first Ukrainian pianist to be recorded by a European label, namely Ultraphone in Czechoslovakia (before 1936). Subsequently His Master's Voice (England) and Electrola (Germany) recorded her recitals of works of Beethoven, Hummel, Chopin and Mozart. Kolessa was also the first Ukrainion performer to record on tape and to be issued on the so-called Long-Playing discs (Concert Hall label, New York 1951). In 1940 Kolessa immigrated to Canada. She taught at the Toronto Conservatory of Music, and continued to perform on stage until 1950. Her repertoire consisted mostly of classical and romantic music, and included the works of Ukrainian composers such as Vasyl Barvinsky and Nestor Nyzhankivsky. She was noted for her fluent technique and subtle tone modulation. Her discography, compiled by Roman Savytsky, appeared in Lviv in 1996. Her papers were left to the National Archives of Canada and the Solomiia Krushelnytska Memorial Museum in Lviv.